I haven't been to Golden Unicorn for dim sum in a few years and this time around I noticed that they are definitely making themselves friendly to the inexperienced dim sum-mer--their dim sum carts not only have pictures but also the names of dishes in English. 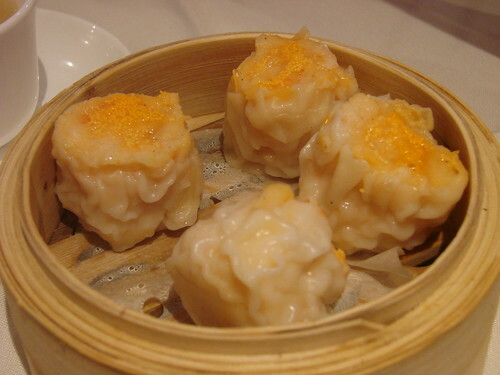 If you are a dim sum first timer, this is probably a good place to start your own adventures in dim summing. 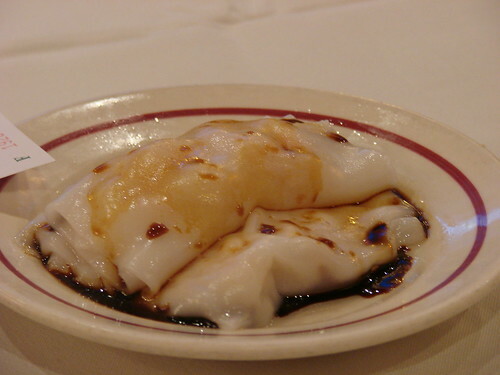 That said, I'll admit that part of the fun, at least in my dim sum experience, has been having the carts come by and being surprised by what they have on offer. 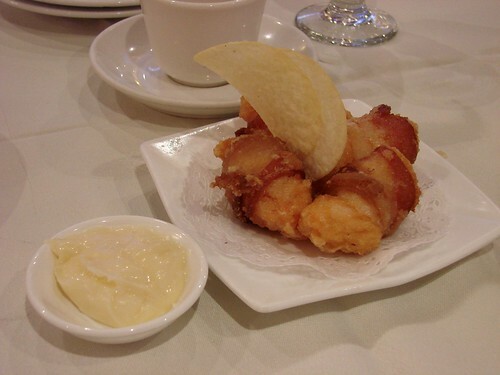 And of course the Fried Shrimp Wrapped in Bacon Topped with Pringles and Mayo. I gave up fried for for Lent so I passed on these, but Little Bobo said that if you mix the chili paste from the table with the mayo these little fried shrimpy bacon treats actually work pretty darn well. Let's hear it for fusion dim sum (and bacon!). 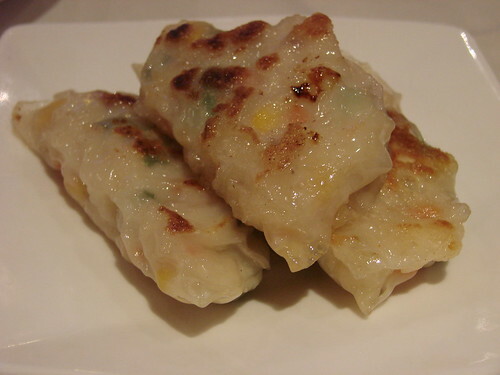 My hands down favorite dish of the meal were the fish dumplings. This came by on a cart with a little sizzling grill and they were studded with corn. Super flavorful and delicious. Next time I'm ordering more of these. Here's a slideshow of all our dishes--we doubled up on several of our orders and came in for under $20 a person. 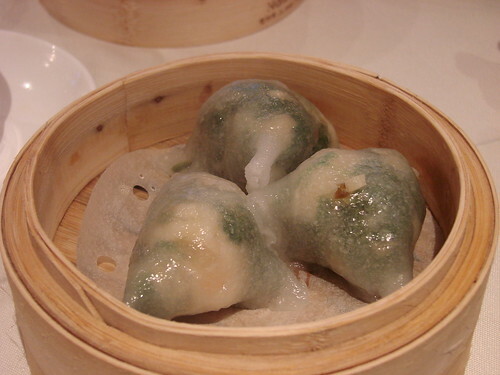 I've been eating Dim Sum throughout my life, and that first dish is amongst the more creative dishes I've seen. East meets West indeed. Gotta get myself to Golden Unicorn now.